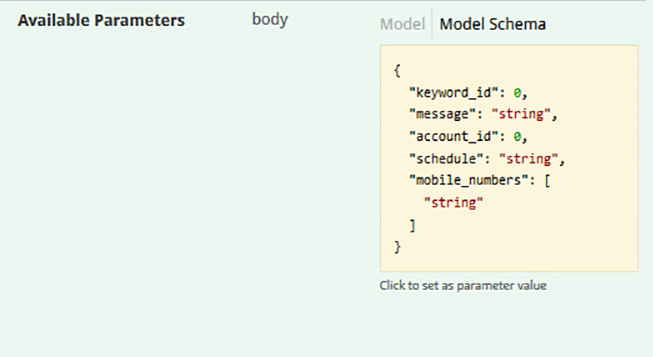 View the Model Schema of the SMS API call to get an idea of what parameters it can accept. Click on the Model view to see a detailed description of each parameter and whether the parameters are optional or required. Clicking on the Model Schema box will fill the body with the required parameters. The last thing you need to do is edit the parameters with real values to test the actual API call. 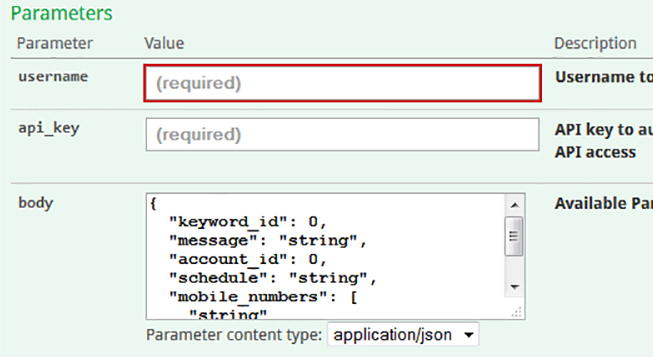 Try out your parameters directly on the SMS API documentation. When viewing the API documentation from inside the platform your API key and username will auto-populate and you can simply try parameters right there. This gives you real time feedback and experience with the API without writing a single line of code. Every API function has a fully documented response message so you can see exactly what to expect and what the messages mean. 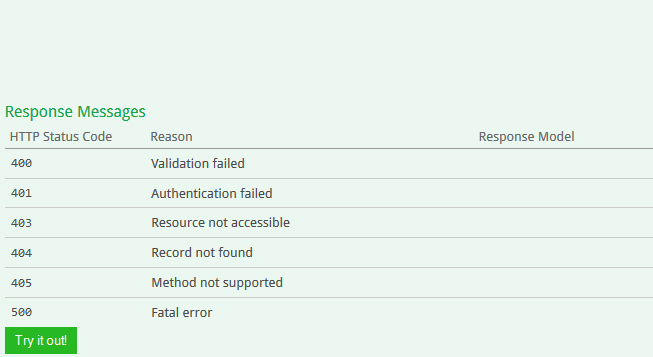 All of our responses are detailed so that you know exactly what is going on with the SMS API call, success or fail.